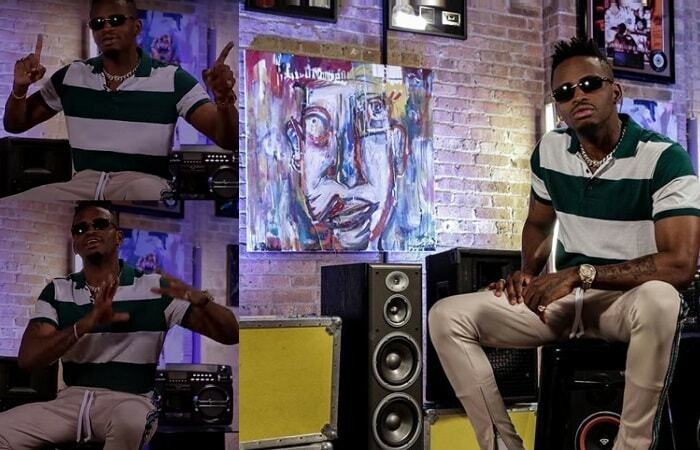 Uganda Online - Zari not well, could the Diamond Platnumz interview have caused this! Zari not well, could the Diamond Platnumz interview have caused this! "Mozambique, your sister from another mother has been sick for a while, but she is on her way regardless. See you in a few #WomanToAfrica#LifeOfaMomprenuer." The mom of five tweeted while on board, she is now in Mozambique for the Woman to Africa conference that will, among others touch the contentious issue of domestic violence. "Been sick for a while!!" 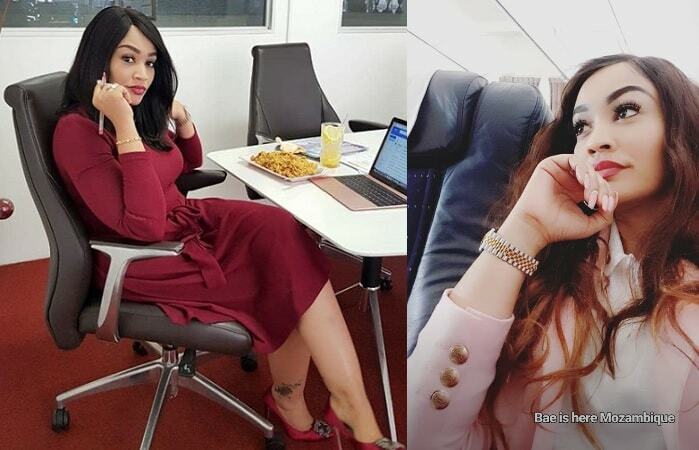 Could she be still battling with the hangover from the weekend binge drinking or the currently trending Diamond Platnumz interview in which the singer revealed how she (Zari) was fighting Hamisa by asking her to find the real father of her child, only to turn out that, Diamond Platnumz was the biological dad. Short of that, Zari has been on the move. Early this month, Zari was in Uganda, spent close to a week on charitable activities in Arua, flew back to Kampala and straight to a press conference for the Miss Uganda beauty pageant that was taking place the following day, she was a patron and judge. Around the same time, one of her sisters was having a wedding of sorts which she had to attend only to lose her brother-in-law, she equally had to attend having looked at him as a father figure for her children. Zari had to wind up with Uganda to see if she could fit in her daughter's birthday bash, but that was not possible as Zimbabwe was calling, she took the next flight to Zim and as you saw from her bottoms-up dance, she enjoyed herself. Momprenuer as she prefers to call herself, she had to do a bit of some work at her Brooklyn College schools, so I guess, it is only fair when she feels fatigued, but such is a #LifeOfaMomprenuer. 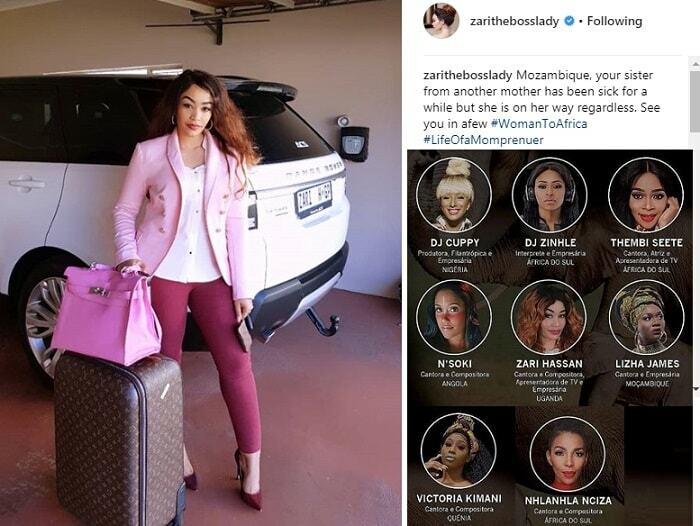 Zari as she was setting off for the Woman to Africa conferece in Mozambique and on the right are some of the women who will be part of teh conference, they include; DJ Cuppy from Nigeria, DJ Zinhle, Thembi Seete, N'soki from Angola, Lizha James from Mozambique, Victoria Kimani from Kenya and Nhlanhla Nciza from South Africa.